There is something magical about getting ready to set off on your trip. Your stomach is turning, you feel so excited it's hard to fall asleep at night, you can't eat..It's a bit like being in love. There's no better feeling than preparing for your trip, crossing off items off your list and waiting for the day, when you will be able to get on a plane, train, bus or a car and just go to an unknown place, where you haven't been before. At the moment I'm sitting on my couch, listening to The Foo Fighters, and just can't help but smiling. In 2 days I will be on my way to my lovely Bangkok, a city which I hated at the beginning, then had no opinion on, and for the last couple of months I have been missing greatly. 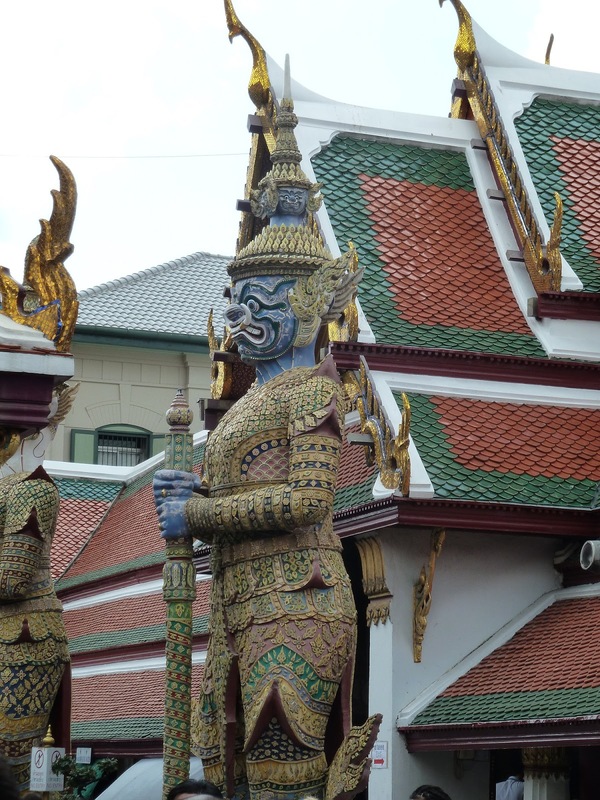 Thailand and Bangkok helped me realised what I want to do with my life, and where my true goals are. For this, I will be grateful to them until the rest of my life. I left Bangkok last year in January, crying my eyes out at the airport. It was like leaving a boyfriend, hoping that the distance won't destroy our relationship. The city, as a true man, stood there unmoved when I waved my last good-bye. Deep in my heart, I knew that I would go back soon, and that I won't let this feeling to die out. Today, I'm getting ready for a new adventure, which hopefully will allow me to get to know Thailand and South East Asia even more. I hope that my love for it will get even deeper, and more mature. I'm checking and re-checking my packing list: trekking boots, sunscreens, flip-flops, t-shirts, camera, passport...- these are almost in my backpack now. Only check in left now and I'll be off on Friday morning. So, dear readers, I hope to update this blog, my Twitter and Facebook regularly, letting you on my whereabouts, and informing about some really cool places. I also hope to hear from you, too. Please let me know if you are in the same area, if you have any recommendations of places to see, do, or stay in. I will stay in touch, I promise, but for now, so long my dears!!! Oh I will miss him dearly! I already miss him now, even though we have still a whole day together. On the other hand, it's only 3 months and not 3 years, right? I get jittery the day of, usually. So excited for you! Safe travels and cheers a an awesome 2013!